Andrew Dudum is the Founder & CEO @ Hims, one of the fastest growing consumer brands of our time and the fastest growing men’s health and wellness brand. 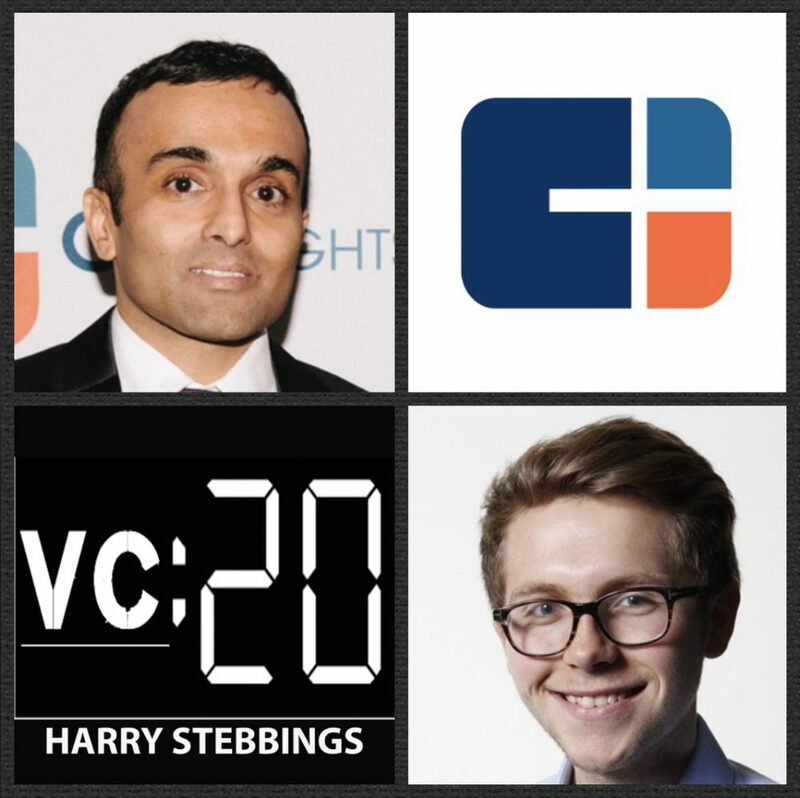 To date, they have raised over $97m in VC funding from some of the best in the business including Thrive, Founders Fund, Forerunner, IVP, Redpoint and SV Angel just to name a few. Andrew is also Venture Partner at Atomic, a venture-builder backed by Peter Thiel, Marc Andreesen and many of the world’s best investors who recently announced their new $150m fund to start companies solving the world’s problems. Prior to Atomic and Hims, Andrew led Product at TokBox.com, the leader in web-based communication and In 2012 TokBox was acquired by the global telecommunications company Telefonica ($TEF). 1.) How Andrew made his way into the world of startups, came to build a venture builder backed by Thiel and Andreesen before starting the fastest growing men’s health and wellness brand in Hims? 2.) How does Andrew view the world of online and offline marketing in today’s proliferated D2C space? What were the core elements that allowed Hims to achieve such success with their branding? How does Andrew respond to suggestions that there is a lack of free and open distribution due to incumbents paying up for traditional channels making CAC unachievable for startups? How does Andrew look to solve for this? 4.) 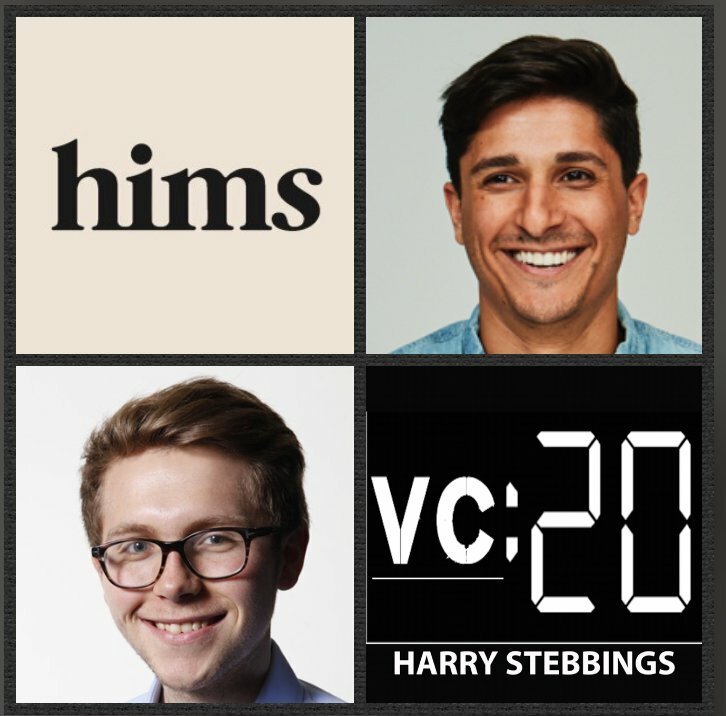 Hims raised their last round at a $200m valuation in less than a year of operating, how did Andrew evaluate this one? Does this not effectively price Hims out of the majority of M&A? What leads Andrew’s thesis with his suggestion that he thought the valuation was “quite frankly, a great price for investors”? What advice would Andrew have for founders entering the fundraising process? Ted Wang is a Partner @ Cowboy Ventures, one of Silicon Valley’s leading early-stage funds with the likes of Philz Coffee, Dollar Shave Club, Brandless, DocSend, Accompany and Brit + Co all in their portfolio. As for Ted, prior to VC, Ted spent X years as a leading Silicon Valley lawyer with Fenwick & West where he worked with some of the most notable companies of our times including Facebook, Dropbox, Twitter, Square and Spotify just to name a few. Ted also created the Series Seed Documents – a set of open-sourced financing documents posted on Github used by thousands around the world today. 1.) How Ted made his way from one of the most renowned lawyers in the valley with Fenwick & West to partner @ Cowboy alongside Aileen Lee? 2.) How does Ted fundamentally approach risk today? Given this mindset, how does this impact Ted’s thinking on optimizing portfolio construction? On the flip side, how has Ted seen many founders wrongly approach the theme of risk? What is the question they need to be asking? What is Ted’s story about risk related to his time working with Jet? 3.) What is it that makes Ted believe that “advice is often oversimplified”? If so, how can VCs provide tangible advice to their portfolio companies today? How can founders determine what is the right advice to accept and integrate vs listen and disregard? How does this lead Ted’s thinking on the 2 core value adds a VC can provide? What advice did Dropbox Founder, Drew Houston give Ted on when to accept advice? 4.) What does Ted mean when he says “there are 4 parts to venture”? How does Ted think about the theme of learning and self-improvement when assessing founders? How does he look to do this pre-investment? What questions reveal the most? Applying it to himself, where will Ted place his biggest efforts on learning within the realm of venture over the next 12 months? 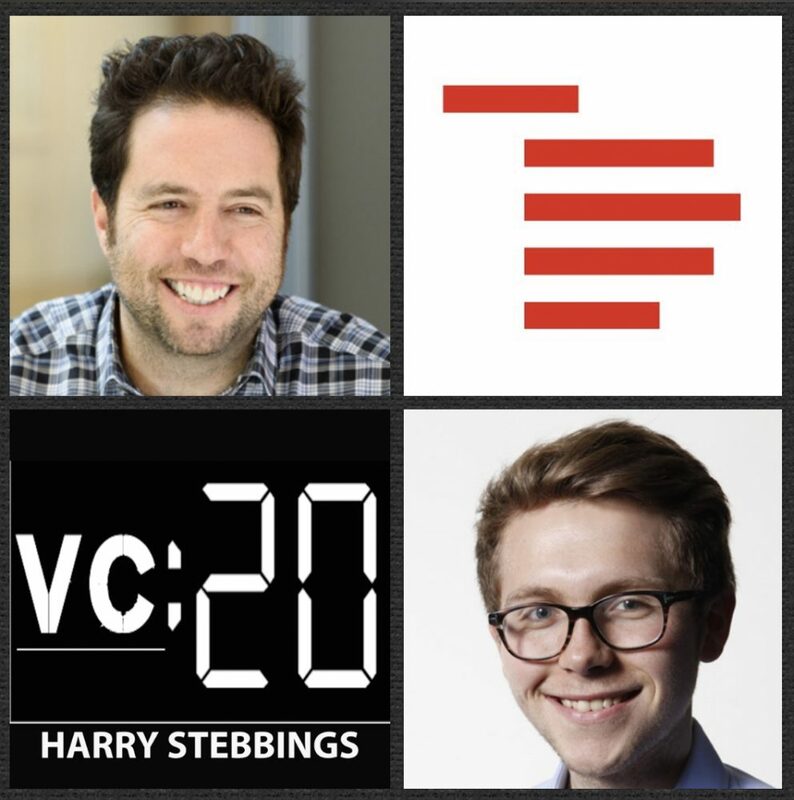 As always you can follow Harry, The Twenty Minute VC and Ted on Twitter here! Dave Vasen is the Founder & CEO @ Brightwheel, the child management software solution you need and now the #1 platform for early education. To date, with Brightwheel, Dave has raised over $33m in funding from some of the best in the business including Bessemer, GGV Capital, Lowercase Capital, Chan Zuckerberg Initiative, our friends at Eniac Ventures and then the likes of Mark Cuban and Chris Sacca. As for Dave, prior to Brightwheel, he was a VP of Product @ AltSchool and before that spent 3 years at Amazon in numerous different roles including Head of K-12 Education on Kindle and developed and launched the “Made for Kindle” licensing program – both domestic and global. 1.) How Dave made his way into the world of edtech and startups from being a consultant at Bain and product manager at Amazon? 2.) Why does Dave fundamentally disagree that founders should always be raising? What is the right way that founders should approach the fundraise? How can founders turn down investor meetings politely when requested and they are not raising? What is the right way to think about capital as a weapon today and the effective allocation of it? 3.) 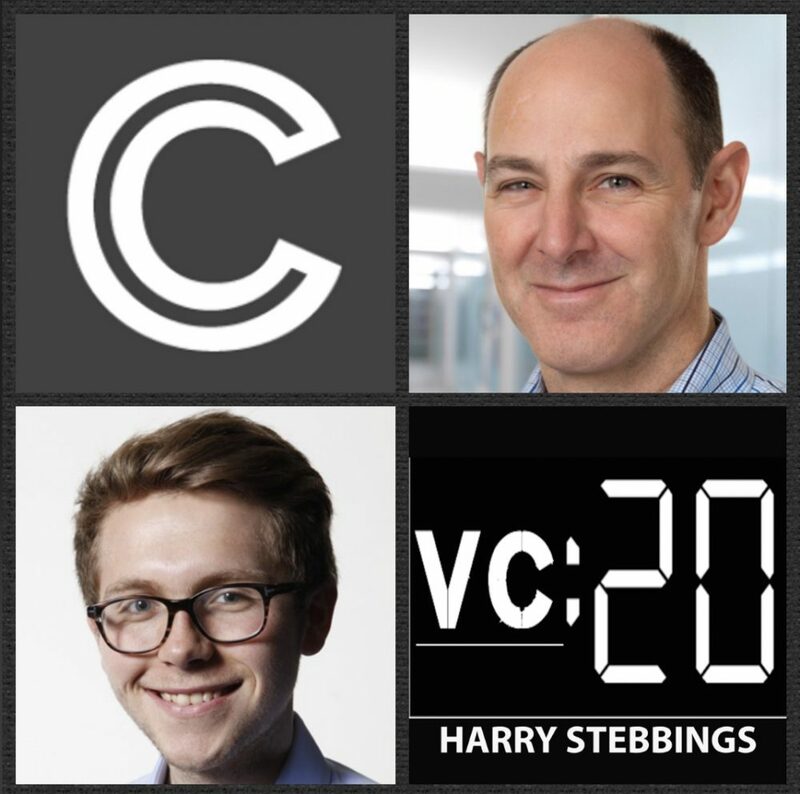 Why does Dave disagree with many elements that the Founder/VC relationship is a marriage? What one element, other than capital, does Dave most look for in a potential investor? What can founders do to really compress the fundraise timeline? 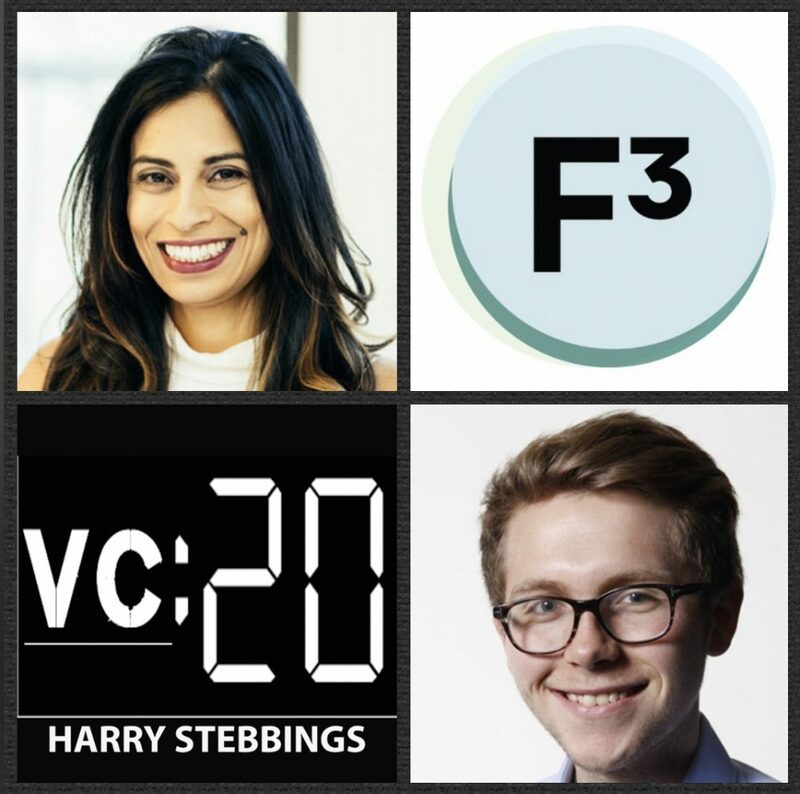 How can founders build relationships with VCs under these compressed conditions? 4.) In the valley there is a large amount of glorification around the scaling and founding of companies, how does Dave feel personally about this glorification? How would Dave like to see this mindset fundamentally change? In terms of mindsets, why does Dave push back against the suggestion of VC “pattern recognition”? How has being an older founder and father changed the way he thinks about building Brightwheel today? 5.) How does Dave interpret the meaning of focus today with regards to company building? How does Dave determine the elements to really double down on? How does Dave think about saying no to opportunities? What framework does he use? What have been some of Dave’s biggest learnings on culture and being prescriptive around it? Anu Duggal is the Founding Partner @ Female Founders Fund, a leading early-stage fund investing in female-founded technology companies. Within their incredible portfolio is the likes of Zola, Rent The Runway, Maven Clinic, Tala and previous guest, Rockets of Awesome. They also have the most incredible mentor network including the founders of Stitchfix, Care.com, Zola and Tala. Prior to founding Female Founders Fund Anu was CEO @ Doonya, a dance fitness and media company inspired by Bollywood and fun fitness. Before that, Anu was Founder @ Exclusively.In where she headed up New Business Development. 1.) How Anu made her way into the world of VC with her founding of Female Founders Fund? 2.) What does Anu mean when she says she likes to focus on “non-obvious opportunities”? What are some clear examples of this? These non-obvious opportunities often appear to have smaller markets, how does Anu think about market size and evolution when investing? Can one blame male VCs for sometimes not identifying with the problem set being solved? What can be done to solve this problem? 3.) What 3 elements do Anu most look for when investing in consumer today? How does Anu respond to the statement that consumer may produce healthy revenue but at the end of the day they will never really produce venture return and be sold for 1.6x EBITDA? How does Anu assess the state of the M&A market today in the world of CPGs? 4.) How was the first fundraising for Female Founders Fund? What did the process look like in terms of amount of meetings, total committed LPs and duration spent raising? What were the common pushbacks from LPs in the fundraise? What did Anu do well that she would do again? How did the raise of the 2nd fund compare to the raise of Fund I? 5.) What does Anu mean when she states, “the power of the female network”? How has Anu seen this work in the real world? How does this allow Anu to see the best deals? How does Anu think about scaling check size and ownership with fund II? How does Anu think about reserve allocation when re-investing? Danny Rimer is a Partner @ Index Ventures, one of the world’s leading venture funds with a portfolio including the likes of Dropbox, Skype, King, Bird, Slack and many more incredible companies. As for Danny, he is known for his investments in Dropbox, leading the company’s Series B, Etsy, King (makers of world famous, Candy Crush), Skype and more recently many retail and fashion businesses such as Farfetch, Glossier and GOAT. He’s been on the coveted Forbes Midas List for more than a decade and in 2017 was appointed an Officer of the Order of the British Empire (OBE) for services to business and charity and the New York Times included him in its list of the top 20 venture capitalists worldwide. 1.) How Danny made his way into the world of venture and came to be a Partner @ Index Ventures? 2.) Having backed the likes of King, Skype, Glossier, how does Danny respond to Peter Fenton and Jeremy Levine’s suggestions of a “consumer downturn”? Does Danny believe there is a lack of free and open distribution today? Can startups compete with such inflated CACs? Henry Davis @ Glossier asks: how have you seen acquisition models change over time? How do you envision acquisition models of the future? 3.) Peter Fenton said on the show previously, he always laughs when he hears VCs say they like big markets, how does Danny assess market sizing today? What have been Danny’s biggest lessons on assessing market size when looking at his portfolio? How does Danny think about niche markets today in such an Amazon dominant world? How does Danny assess price today? How does Danny determine when to stretch vs stay firm? 4.) Having helped many companies scale to global success, what does Danny believe to be the core considerations in getting your startup ready for global expansion? How did Danny find Index’s expansion when opening up their first US office in 2011 in SF? What were some of the biggest challenges? How does Danny think about and assess generational transition within venture and Index more specifically today? 5.) Danny has spent over 3,000 hours on boards to date, how has Danny seen himself evolve as a board member over that time? What were some inflection moments in those hours that fundamentally changed the way Danny thinks? What advice would Danny give me, having just gained my first institutional board seat? 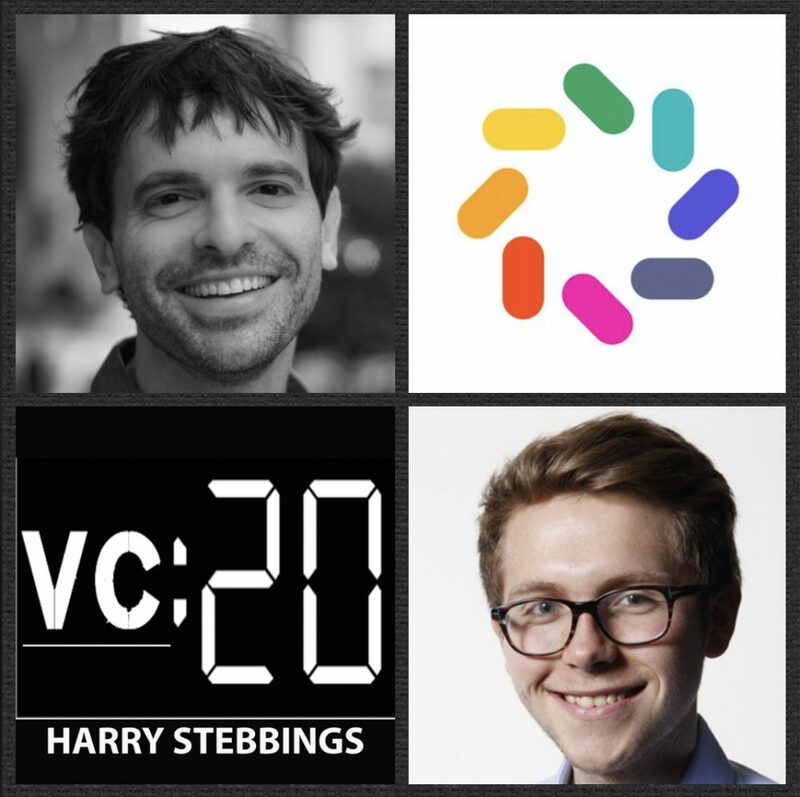 As always you can follow Harry, The Twenty Minute VC and Danny on Twitter here!